I am writing this in the library where, at the pace of a snail, I am rewriting my first paper, my first “submission”. A lot of water has flowed under the bridge since my last post; you have every right to question my sincerity and efforts, energy levels and ambition. I do that all the time. I am writing this in the library where, at the pace of a snail, (or is there a creature slower than a snail I could use as a metaphor) I am rewriting my first paper, my first “submission”. I got very useful, constructive, and interesting comments from the reviewers." “Submission” means that I submitted a paper to Academy of Management for review, actually two papers. In the hope that I would be called to present them in person in Vancouver at the AOM Conference in August. Academic professionals, experts in my field of research, reviewed the papers, i.e. the submissions. I got very useful, constructive, and interesting comments from the reviewers. Positive even. However, I will not be presenting either of them in Vancouver in August at the AOM conference; the papers were not accepted. This is academic life and I just have to learn to live with it. Firstly, how arduous the writing itself is, how careful one needs to be with citations, references, sources, literature reviews…"
The process taught me a lot. Firstly, how arduous the writing itself is, how careful one needs to be with citations, references, sources, literature reviews… By the way, I send a digital “thank you” to the inventors and developers of Mendeley et alia; without a little help from these bibliography/reference/library wizard applications, the life of a dilettante researcher would be hard, to put it mildly. Do not get me wrong, I love the writing, despite of all the little details one needs to pay attention to. Something I am not known for…. I also experienced the anxiety before the deadline together with the exhilaration of the moment after having pressed the “submit” button." The first paper, intended to be the first article in my future thesis, is titled “Defining talent in a non-profit organization - a pilot case study”. This is in the core of my research. How do academic researchers – and organizations – define “talent”? I think, argue even, that defining what talent means is pivotal, since only then can we start thinking how to “manage” the talent. In this paper I concentrate on my non-profit research organization, the International Federation of the Red Cross and Red Crescent Societies. I will talk more about the background, the theoretical framework and my findings in my later posts. The learning: do not assume that the reviewers read between the lines or understand the terms you use the same way you do!" The second “submission” mentioned above was actually intended to a conference within a conference; Teaching and Learning Conference in connection with AOM in August. This is an outline to a 60-minute session on a topic related to Executive Education, i.e. very different from the actual conference papers. Even if the reviewers were convinced that I know what I talk about (Building high-potential programs within Executive Education), they did not accept it. The learning: do not assume that the reviewers read between the lines or understand the terms you use the same way you do! I talked about an “interactive session” ASSUMING that everyone knows it is not a monologue presentation. The comments were more or less along the following lines: the session is too long for the presenter to be speaking without having the audience to participate. Sigh! Positive; all four of the reviewers said they would love to participate in “my” session since it is such an interesting topic, if only I let them talk, too. I would have, I promise; in addition to the 45 minutes interaction and presentation I had scheduled, even in the paper itself, 15 minutes for discussion and idea generation. So long now, I will head back to the drawing board! Take care and stay curious! 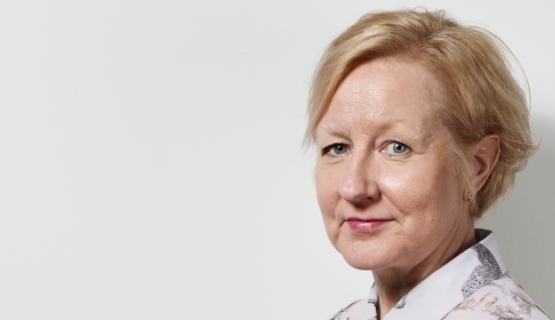 Riitta Lumme-Tuomala is Head of Growth and Director, Russia and Talent Management at Aalto EE. She is also an Aalto Executive DBA candidate. Aalto Executive DBA is a structured doctoral level program for individuals with considerable managerial experience who wish to make a significant contribution to the enhancement of professional practice. The program is organized by Aalto EE Helsinki.